As Murray Rothbard noted in his unpublished strategy paper, students can be a very important part of the libertarian movement. However, I fear with President Trump in the White House, we are losing them to the Left. Last night a warming onslaught of students, faculty, staff, and greater community members gathered at the University of Virginia to begin healing its campus (or “Grounds,” as its known in Charlottesville) in the aftermath of a violent white supremacist march on the school this past Friday night. 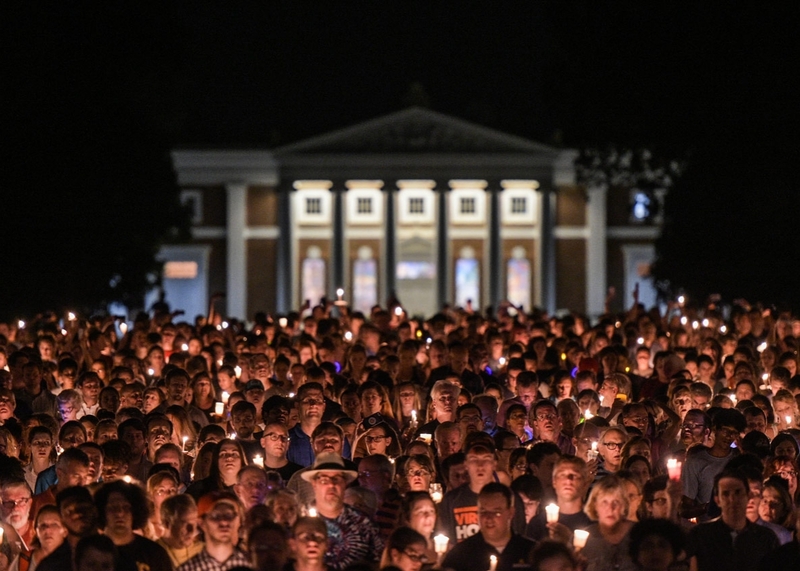 Wednesday evening’s event—informally billed as “Take Back the Lawn”—began at a spot known around UVA as “Nameless Field” and culminated on the titular Lawn, a long, rolling stretch of grass at the foot of the Rotunda, the university’s iconic domed building designed by its founder, Thomas Jefferson. The marchers carried candles, sang, talked, listened, laughed, hugged. I do not know exactly how many people came out to march—hundreds at least, and quite possibly more. It doesn’t really matter; what matters is that there were far, far more of us than there were of them. Hamilton mentions the white supremacists, who were indeed at the Friday night march. He also reported that faculty members were at last night's gathering. You can be certain the discussions in the University classrooms will be limited to the violent actions of the white supremacists, and the violent Left counter-protestors on Saturday will be portrayed as heroes. The small to no government, free market option will not be discussed. The kids are being herded in the direction of socialism. Libertarians who fail to attack Trump are making a strategic error. Trump is not a libertarian. He does not appear to hold any libertarian policy positions beyond a desire to stop government regulation of transgenders in bathrooms. Students, with some justification, view him as at least sympathetic to the white supremacist movement. He needs to be thrown under the bus. The kids need to hear that there is opposition to Trump that is non-Leftist. The number of prominent libertarians who jumped on the Trump Train over the past 2 years was such a painful gut punch. I fear that it'll take years to recover. The only silver lining is that we can be assured that there will be plenty of bad policies to criticize. The fact that there are many libertarians that still don't get this (even though it was obvious from the get-go) does not bode well for the youngins or the strength of the libertarian movement going forward.. Hate to say it but Dr. Block should surely be embarrassed by now. Has he been too occupied with the minutiae to see the big picture? I’m not sure anyone knows or cares what libertarians say or do about Trump or anything else. I’ve been saying for a decade that absolutely no one but us understands or processes anything we are saying even in long drawn-out internet debates. No one has tried to refute me on that one. It’s been time to have a panic attack about that problem for a long time now. The left controls the schools, the courts, the churches and the media. Further, which libertarian still supports Trump in the slightest after his demonstrated incompetence in foreign policy which was the sole basis of half-hearted support? The alt-right mocks us as “cucks” on immigration and the cultural and political problems of minorities such as the oncoming demographic minority majority. That does not seem to gain us any street cred with the Antifa gang. The left will hate and defame us no matter what we say or do to the slight extent anyone pays attention to what we say or do. There are more things to worry about than how libertarians should react to Trump. What we really need to do is promote the idea of private discrimination as the solution to most everything but that will get us into far more trouble than moderately and occasionally agreeing with Trump on 2 or 3 percent of his pronouncements. Agree 100% that no one cares or knows about libertarian philosophy. It's deeply ingrained in just about everyone that you must have a state to perform certain duties. The millennials for the most part are a lost cause. They cannot support their beliefs with any type of logical discourse, they just yell and scream. The younger crowd, generation Z, seems to be of a more conservative bent. The amount of people attending Conservative rallys on campus shows that there are still people trying to use their brains. There is a lot of young kids who are growing sick and tired of the lefts nonsense. These are the people that Libertarians should be targeting to spread the message to. Other than Stefan Molyneux, what other libertarian was a full fledged Trumpett and who knew or knows about it? Or cares? Reason and CATO were all never-Trumpers, right? Most people can't differentiate aggressive from defensive violence much less crony capitalism vs. laissez faire. 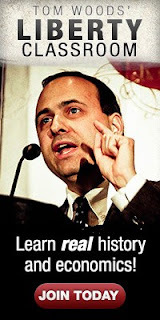 How many people can differentiate Reason from LewRockwell.com? Using phony lefty trigger words like "White Supremacist" means one has lost before they start, but the SPLC thanks you. That is not the "third way" it is the way of the the left. I live in the bay area. I work in an environmental chemistry lab in Berkeley. I play in a band. I swim in a sea of liberals, progressives and self-described SJW's. I have personally converted some to libertarianism. I even converted a social worker. These people can be reached, but it will involve 1) not rolling your eyes when they say something you think is ridiculous and 2) trying really really hard to understand the world as it exists in their minds. You have to walk all the way over to where they are standing, stand there with them, hold their hand and gently point out their own inconsistencies. You have to embrace their sentiments, don't waste one moment arguing with their feelings. You cannot reason people out of ideas they were not reasoned into. Their minds have been boobytrapped. You have to meticuliysly dismantle the trap. You can't just wrench them out. The trap is rigged to blow. Most libertarians simply can't be bothered to do what it actually takes. They're too busy dancing on pe opp led landmines and poi ting to the explosions as evidence of their detractors irrationality and their own rationality. 100% agree. I've converted quite a few people the same way. It takes time, and it it first takes trying to emphasizing your similarities over your differences. Then, as you said, you have to patiently wait to point out their inconsistencies. I've generally found that one of the best times is when they, or one of their friends, has been screwed over by the government in some way. It's a great time to point out why the mishap happened and why the government is not your friend. Many libertarians go out of their way to avoid people who don't already agree with them. You can't possibly spread the information if you won't interact with those that need it most. Good work, and good advice. Very tricky to put into practice, though. It's hard for me to even remember who I was before I was a libertarian, how little scrutiny I applies to my own political stances. Now, whenever a statist cavalierly advocates that violence be employed against peaceful individuals whose only crime was to disobey some politician's dictate, it takes so much emotional fortitude for me to force myself to remember that they're probably not evil, even if the thing they're advocating is. The communication barrier can be so daunting. Evan, in Barcelona tonight 13 dead and 100 injured because of immigrants. You regard borders as merely "some politician's dictate". Any comment? Wanna bet they were getting gov't assistance? Since a van was used in the attack, maybe they should jail anyone who buys a van. Actually it was because of vans. Well obviously immigrants are the #1 cause of crime, as has long been known. They move from place to place, what can you expect? Neither are Trumpistas, Robert. The nastiness they exude is enough to strip paint from a battlecruiser. They're as auhoritarian as their brethren on the Progressive left except they have no qualms when it comes to attacking those who don't *look* like them. Maybe if the Libertarians didn't have cucks like John McAfee saying that they should be ashamed of having too many white males in their party then people wouldn't view it as faggotry. 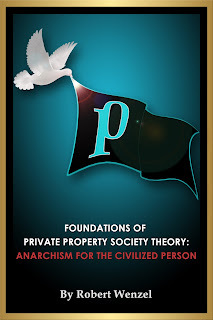 If, as Rothbard suggested, there were but a handful of Libertarians in the 1960s, I'd say we're on a solid trajectory. Having the Internet helps. BLM, Antifa and the Deep State are equal enemies to liberty but Wenzel seems to be crusading against Trump ONLY as if when he is gone sunny days will be here again. Must be something in the SF water.